Annual and perennial flowers in vegetable garden to attract wildlife. 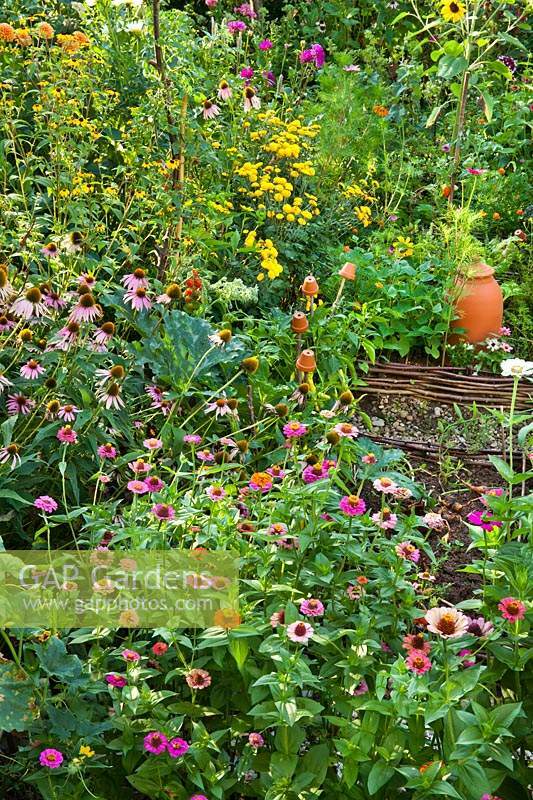 Echinacea purpurea, Chrysanthemum, Zinnia elegans and Cosmos bipinnatus. Image 1314679 has been added to your cart.